Privately built Krishnapatnam port (Nellore district of Andhra) has been eating, it says, into the earlier cargo share of the Jawaharlal Nehru Port Trust (JNPT, at Navi Mumbai), the country’s largest container port. Krishnapatnam, owned by Navayuga Engineering, was opened in 2008. “Switching central India cargo to Krishnapatnam from JNPT would save seven to 10 days of transit time and also lower cost by $200-300 per TEU,” Vinita Venkatesh, director at Navayuga Container Terminal, told Business Standard. TEU or Twenty-Foot Equivalent Unit, is used to measure a ship's cargo carrying capacity. One TEU are equal to a standard 20 ft shipping container — 20 ft long and eight ft tall. The central India cargo referred to earlier denotes the strong cargo concentration points of Hyderabad and Nagpur, from where come sizable import from China, Korea and that region. Today, this cargo is taking a circuitous route by going first to JNPT and then coming to central India. “Traditionally, Hyderabad cargo has been with JNPT. We are making it known to customers that Krishnapatnam on the east coast would definitely give an advantage over JNPT,” Venkatesh said. Messages sent to JNPT from this publication were not unanswered till the time of going to print. This is not the first time that Krishnapatnam is giving stiff competition to domestic container ports. In the past, Krishnapatnam used aggressive marketing to take away cargo share from the Chennai port, one of the largest and busiest container ones on the east coast. Krishnapatnam then targeted the north and east Karnataka region, along with Andhra-Telangana. “The distance of cargo to the port and service offered are the main factors on which Krishnapatnam has been attempting to be a differentiator in the market, both on the east and west coast," says Venkatesh. Krishnapatnam currently handles 500,000 TEUs a year. An, increased thrust on trans-shipment and handling of newer cargo in the coming months, it says, make it aim at 700,000 TEUs in 2019-20. Pharmaceutical export from Hyderabad and import of solar power panels for Telangana are some of the new cargoes that are finding place in Krishnapatnam’s cargo kitty. In November 2018, trans-shipment volume was 20,600 TEUs, as against 19,316 TEUs in the same period last year, it stated. The recent relaxation of cabotage rules for container vessels also augurs well for the private port. "Earlier, there were only Indian flag feeders that came to Indian ports. With the cabotage relaxation, even foreign flag vessels are running Kolkata-Haldia services. As more and more mainline ships decide to hub their trans-shipment here, the number of feeders can adequately increase,” said Venkatesh. Feeders collect shipping containers from different ports and transport these to central container terminals, where they are loaded to bigger vessels or further transported by truck or rail into the hub port's hinterland. “Going ahead, we are expecting increased volumes from foreign flag vessels for trans-shipment. Since the relaxation came only in May, it will take time for foreign vessels to change the service pattern. They will need time to rework the new route but we are bullish on volumes from this segment,” explained Venkatesh. The port recently began expanding its container terminal. 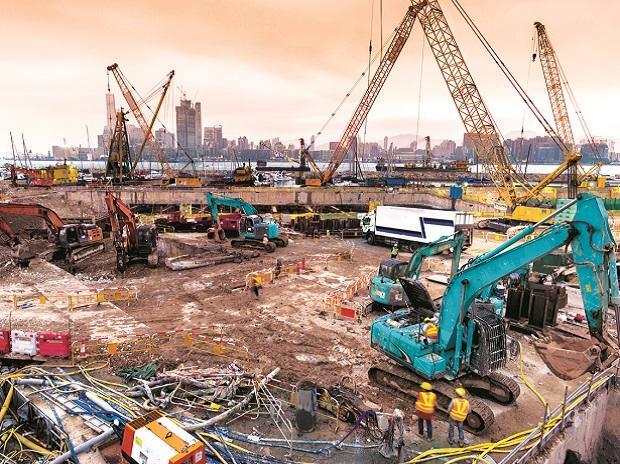 This involves addition of 250 metres of berth-length to the existing 650 metres and erecting of three more quay cranes. Expected to be complete in the March quarter, this would raise its capacity from the current 1.2 million TEUs to two mn. Currently about 2.8 million TEUs or a fourth of India’s cargo containers are trans-shipped at ports outside India -- mainly at Colombo, Singapore, Port Klang, Salalah and Jebel Ali. Colombo alone accounts for 1.2 million TEUs.